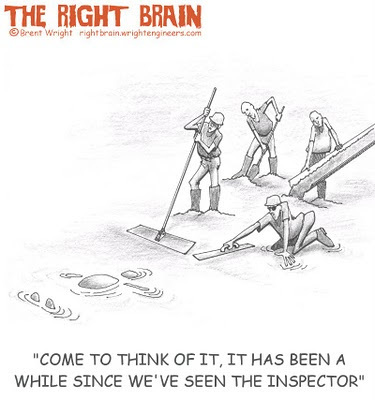 The Right Brain: Anyone See The Inspector Lately? Anyone See The Inspector Lately? There is probably more than one contractor who's thought of doing something similar to this to an inspector who's being a *!#@%! or to an engineer (though it's hard for me to even imagine an engineer would ever be a *!#@%!) .